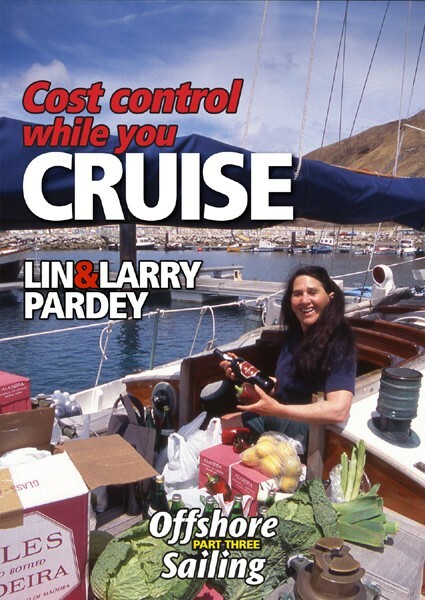 Of course we would always recommend that you get a copy of Lin & Larry's book "Cost Conscious Cruising". However this new video gives a bit different perspective and a great feeling of personal contact with the Pardey's. The Pardeys have been living aboard and voyaging for 4-1/2 decades and a truly incredible number of sea miles. They've pretty much been everywhere and done it all. Yet they have always been ordinary working people. No trust fund hippies here. These are very solid citizens who realized that the key to happiness in living aboard and voyaging is a modest sized robust but simple vessel and a lifestyle that is just so pleasant and low stress that they don't need fancy entertainments to be happy. In this DVD they discuss the practical aspects of the decision making which promotes a happy and productive life afloat. They stress how to keep maintenance costs under control, and the importance of making your boat "unstoppable". That is how to create a vessel that is rugged, simple and with equipment chosen so that it is very hard to put anything out of action. Some cautions are included on common mistakes that can double your cruising costs and decrease your happiness at the same time. Although we've lived aboard and designed boats for living aboard for a good many decades ourselves, we tend to pull the Pardey's videos out periodically and watch them again. It always sets us thinking and we have plenty of things on our "to do" list for the boat we are restoring as a new floating home and office that were originally thoughts that came to use while reviewing these videos. Interleaved with all the great advice are great scenes from their travels which give a great feel for the life and will inspire you to go and do likewise. It is worthwhile in closing to repeat, as we have so many times before, that there is not a single other liveaboard and voyaging couple with whom my wife and I so thoroughly agree on almost everything. In all their writings about the only things we have ever found to disagree with is a few sentences on modern boat construction methods where our experience leads us to different conclusions than theirs.